They are Auxiliary Verbs that provide additional and specific meaning to the main verb of the sentence. 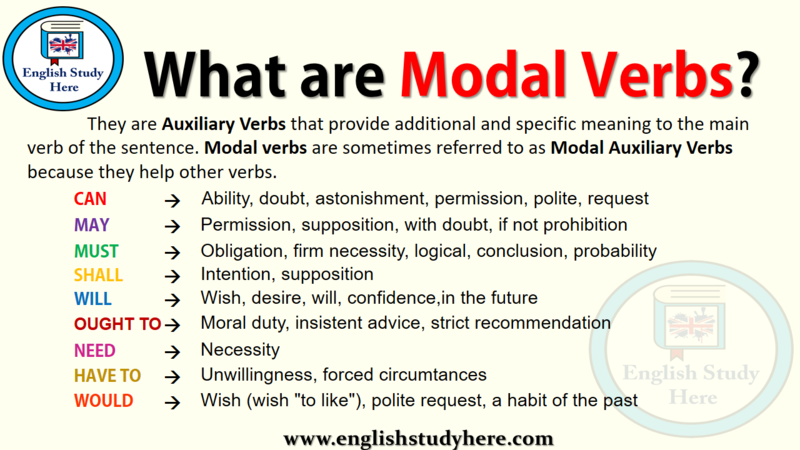 Modal verbs are sometimes referred to as Modal Auxiliary Verbs because they help other verbs. Good morning,l really need this,because lm not confident in speaking English in public or holding conversation with others,this will surely enhance my vocabulary.